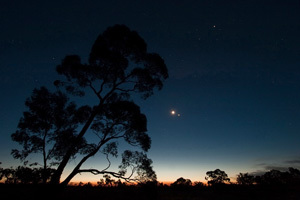 Have you ever wished you could photograph the amazing Australian night sky? 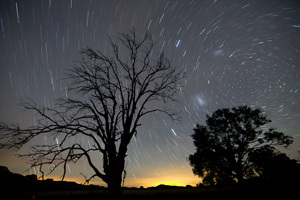 With just your Digital SLR and a tripod, award winning photographer and natural educator Phil Hart will teach you how to capture wide-field scenes of the night sky, long-exposure star trail images and timelapse video. And yes.. your camera is good enough and you can take images like these! Note in 2016: Unfortunately due to a change in work circumstances, the workshops are currently on-hold. Some future workshops are possible so if you would like to be notified of these, please fill out the form at the bottom of this page. Introducing Stellarium to explain 'What's up in the night sky'? As soon as you register, you will receive the 130 page eBook 'Shooting Stars' covering all the above topics and more. Short course in the City: This course consists of an instructional session held at Michaels Camera Store in the city (Melbourne) with an optional practical session on a clear weeknight in the following week, at a site on the edge of Melbourne where we can capture images of the night sky away from the lights of the city. 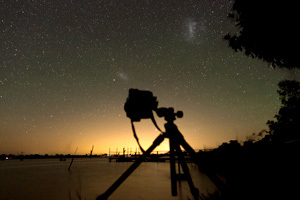 Weekend Workshop, Lake Eppalock (VIC) Starting on a Friday evening, we enjoy three nights and two days staying under dark country skies. We will go through instructional sessions during the day and weather permitting take photos of the sky at night. There is some time during the weekend to visit local wineries and other attractions or just explore the site. Partners can usually be accommodated as well or discounts are available for couples participating in the workshop together. The course includes a Sunday night, but it is possible to leave early that final evening or Monday morning and be back in town for work if necessary. Read full information about the weekend workshop arrangements including what to bring in this Weekend Workshop Information Pack. 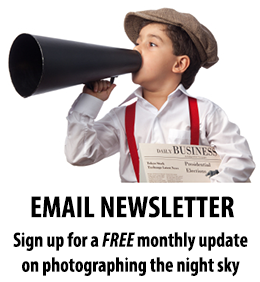 If you have a group of people interested in a Night Sky Photography Workshop, anywhere in Australia, please contact me with the form below and we can discuss setting up a custom workshop tailored to your group. Phil Hart has been observing and photographing the night sky for almost twenty years. What started as a DIY hobby with film cameras on a student budget has developed into an all-consuming passion and admiration for what modern digital SLRs can do. 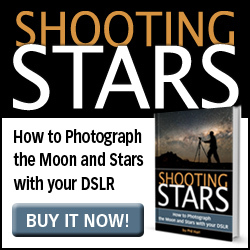 As a natural educator, he enjoys sharing his passion for astronomy and photography, and can help you take amazing images of the night sky with your own DSLR. 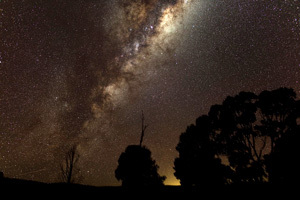 In 2012, he was awarded the prestigious David Malin prize for Astrophotography. I've always had an inextricable fear of night photography. Filled with doubt and failed attempts in the past, I found star photography floundering until I signed up for Phil Hart’s Night Sky Photography Workshop! Class size was perfect, content was extremely relevant and best of all - the inside tips and procedures for aperture, iso and shutter speed were enlightening. Phil's personalized one-on-one attention provided for a memorable experience and some great night sky photography. I highly recommend this workshop. A wonderful course that has opened up a whole new world in terms of what can be achieved with the right settings and plenty of experimentation. I’m hooked!! I came to the course as an astronomy buff wanting to learn more about night sky photography, and I did. 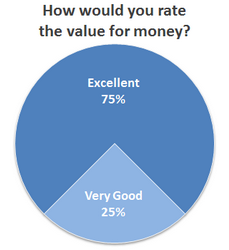 Your expertise and patience was exemplary. I didn't know just how much I didn't know about capturing the night sky with a DSLR. After a few hours at home doing some processing I have a series of pictures that I think are the best I have ever taken. The venue was great and ideally located. It was quite simply one of the nicest learning experiences I have ever had. 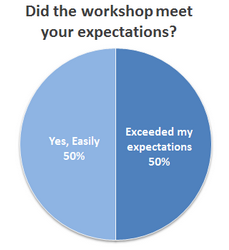 Read more feedback on the workshops here. To ask questions or express your interest in future dates please use the form below. We also have a Night Sky Photography Facebook page with participant's images from earlier workshops or you can 'Like' the page to get further updates.